After kicking off their season with a stellar opening meet at home, the Maroons faced a deadly combination of Illinois Wesleyan and Washington University in St. Louis last weekend. At the Triangular Invite, the men’s team posted eight first-place finishes getting second place overall as a team, while the women had three first-place finishes placing third overall. This Friday, the Maroons will head to the Warhawk Invite hosted by UW–Whitewater where they look to translate key individual performances to team success. Both teams feel confident despite enduring an injury-riddled few weeks. Despite their injuries, individuals stepped up to try and help carry the team. Third-year Temisan Osowa snatched first in the 60-meter and the 200-meter while second-year Patrick LeFevre was able to leap his way to a win in the 60-meter hurdles. The men also finished well in the field events; third-year Joey Gary took the triple jump, second-year John Schultz won the pole vault, and throwers third-year Andrew Maneval and fourth-year Nathan Massey garnered wins in shot put and weight throw, respectively. The women were not as successful, but still garnered promising wins. First-year Alexandra Thompson won the high jump, and perennial favorite fourth-year Nkemdilim Nwaokolo grabbed the weight throw win. 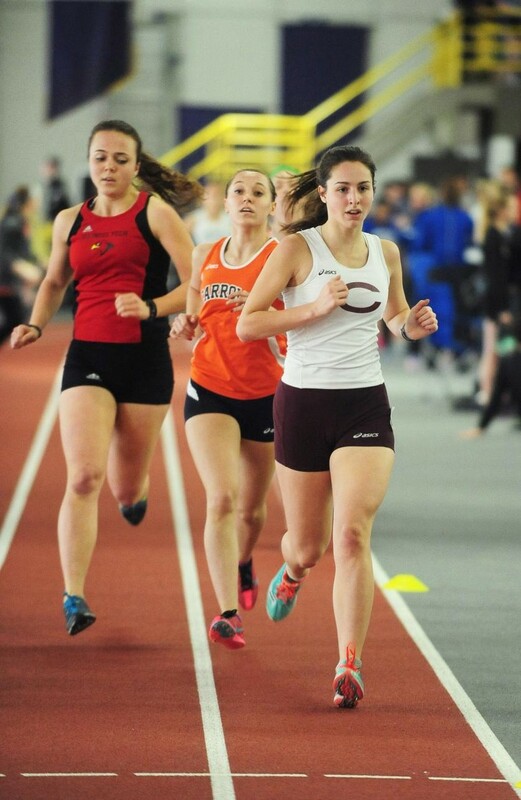 Fourth-year Ryan Manzuk and first-year Nicole Vacaguzman both finished first in the 400-meter race last weekend and look to lead the men and women’s team again on Friday. “We lost to Wash U by a very slim margin even though we were without nearly 10 key contributors due to injures and the like. So, we feel like we’re in a good spot to compete with them at season’s end at the conference meet,” said Manzuk. “I’m excited to see how the team does this weekend because many runners who were injured will once again be running, so it should be a fun meet. Last year we placed fifth, so this year I’m hoping to place even better!” said Vacaguzman. As the Maroons heal up for the weekend they also have to adjust as the academic quarter starts to pick up. “Coping with the demands of both academics and athletics is certainly a challenge. For me personally, I just make sure that I am focused on the tasks I have immediately in front of me…It’s important to be efficient and not sacrifice sleep,” Manzuk said. On the women’s side Vacaguzman echoed Manzuk’s thoughts. “Since we have meets every weekend, time management is crucial and necessary if we want to do well in both areas,” the sprinter said. Despite the injuries and the academics, the Maroons feel confident going into the Warhawk Invite. Even though this meet is early in the year the South Siders look to make a statement to the rest of Division III. “This is easily the best meet we go to all indoor season. The field will be littered with All-Americans. This offers us a really good opportunity to run well because the competition around us will push us to good marks,” Manzuk said. That extra competition will be a good indicator to the Maroons but could be a much better indicator if all the injured runners are able to compete. The season continues 5 p.m. on Friday at the Indoor Warhawk invite in Whitewater, WI. The women will complete their events on Saturday.